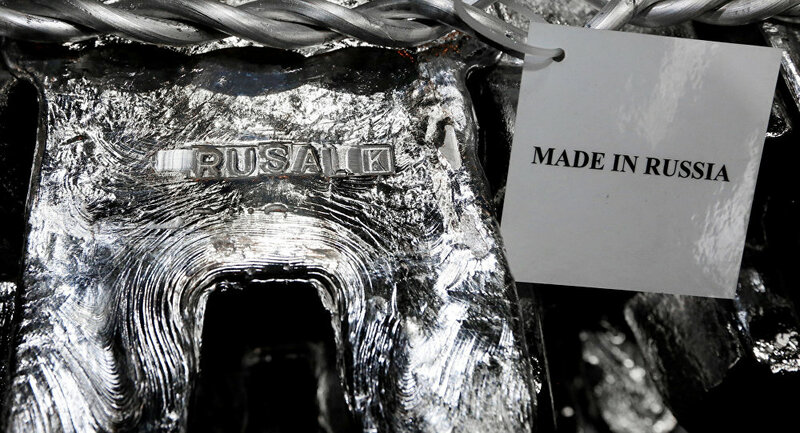 The European partners of RUSAL have reported major disruptions after the US Treasury Department imposed sanctions against the world’s second largest producer, based in Russia. Following the punitive measures, the company, which has a 17 percent share of the world’s aluminum market (not counting China), had to freeze a quarter of its export. The Swiss commodities and mining company Glencore is among those hit by the anti-Russian sanctions in Europe. It announced a force majeure clause concerning contracts with a joint value of 50 tons of aluminum, which lets the supplier default on the terms due to circumstances beyond its control. The same perspective looms for the Australian-British multinational Rio Tinto, which depends on RUSAL due to its cheap processing. Rio Tinto, which announced that it would abide by the sanctions, supplies bauxite for a metal plant in Ireland. This may entail laying off 450 staffers of the Irish enterprise. According to the newspaper Irish Times, it’s unknown how the sanctions will influence the plant or whether the storage of bauxite is enough for the plant to keep working despite the sanctions. According to Bloomberg, Rio Tinto has warned it would have to put several plants on hold before new suppliers were found, which could take some time. Europe’s largest alumina refinery plant Aughinish Alumina, bought by RUSAL in 2007, stated that its inventory of bauxite will last till June, although the decision by Rio Tinto doesn’t instill confidence into the major players. Apart from Glencore and Rio Tinto, RUSAL’s top five consumers include the US Arconic plant in Samara (Russia), Japan’s Toyota and Switzerland’s Mechem SA. According to RUSAL’s report, these five companies comprised a 40 percent share of the company’s sales over nine months of 2017. The producers have to adjust now to higher aluminum prices, which hit record numbers over the past six years following the punitive measures against RUSAL. RUSAL is Russia's biggest aluminum producer and one of the world's biggest suppliers of the metal, as well as alumina. Its production is traded on the world's most prominent commodities markets. The company owns mines, refineries and smelters not only in Russia, but also all over the world, for example in Ireland and Jamaica. Although aluminum is dubbed the “flying metal,” aviation is not its major consumer. Aluminum alloys are widely used in construction and automobile manufacturing. Another major sector is food production, where it’s used to produce packaging.